Saving for retirement is something that we all have to do. Thankfully, many employers offer a 401k plan to their employees as a benefit. However, the buck usually stops there. It is all too common for employees to put money into their 401k and then let it sit. If this is you, then it might be time to rethink that strategy (or lack of). You have to be involved with your money to hit your goals. 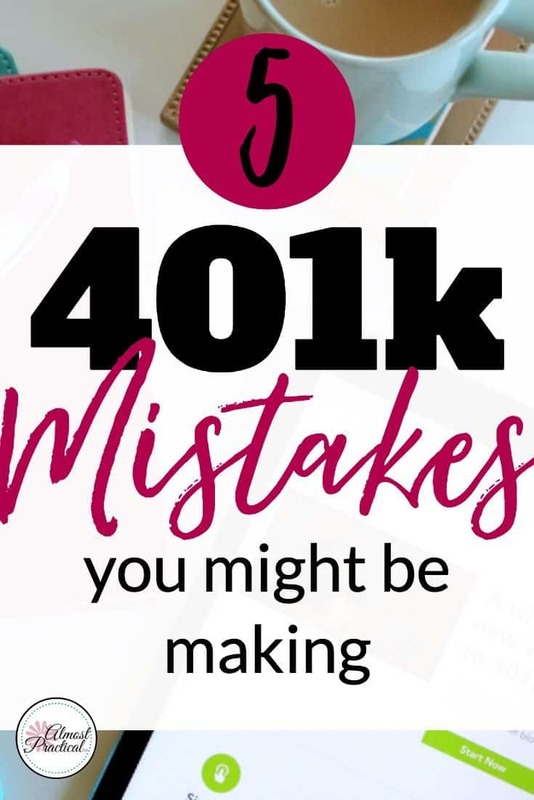 Are you making these mistakes with your 401k? 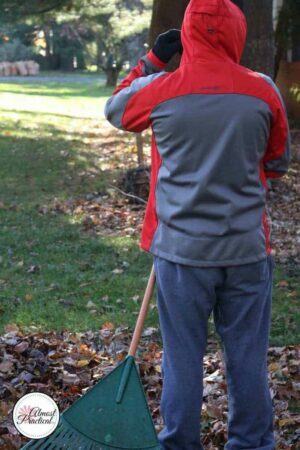 It is really easy to underestimate how much you will actually need at retirement. Retirement may be a long way off for you – and your immediate cash needs are calling your name. But the fact is, social security may or may not exist in the future, and pension plans are pretty much unheard of. So, when you hit 65, you will either need to have a nice nest egg squirreled away or you will need to continue working to make ends meet. The time is now to estimate how much money you will need when you retire and invest in your 401k according to that plan. I'd rather spend quality time with this lovely than stress about retirement. Many employers will match your contributions to your 401k up to a certain limit. That is a great benefit. But that limit is likely set by your employer and is not the same as the IRS limits. It is tempting to just invest money in your 401k up to the limit that your employer will match. Unfortunately, if you are following that strategy then you are leaving money on the table. Your contributions to your employer sponsored 401k are pre-tax up to the IRS limits (which change every year). So, by contributing more to your 401k you are saving on taxes at the same time. It is hard to do without the extra cash in the here and now, but adjusting your family budget to live on less now will pay off in the long run. Even if you are putting as much as you can into your 401k – if you don't stay on top of your investments, you could be hurting your financial position. It is really easy to dump your 401k money into a fund and then never think about it again. But that fund may not be giving you the right returns and stability based on your stage of life. And then there are the camera shy. Hiring a financial advisor may be helpful but may also be out of your budget. But you can try a more affordable option like blooom. They even have a free analysis tool that you can use to see what it can do for you. Basically, Blooom can give you the peace of mind that comes with not having to worry about your 401k. Most importantly, a service like blooom can free up your mind and your time so you can focus on what matters most in life. Everyone has a different comfort level when it comes to investment risk. That is why 401k plans usually offer a variety of investment options ranging from the ultra safe money market account to highly volatile funds that have the potential for much higher returns. Theoretically, your age should play a big factor in how much risk you are willing to assume. Traditional advice says that the younger you are, the more risk you can absorb. This is because markets go up and down over time – and when you are young, you have a lot of time. But not everyone follows theory. If you have a risk averse personality, you may be more inclined to play it safe right from the start. The ideal solution could be to find a balance somewhere in between. Again, a tool like blooom can help you to analyze your current 401k portfolio and decide whether you are playing it too safe or taking on too big of a gamble. 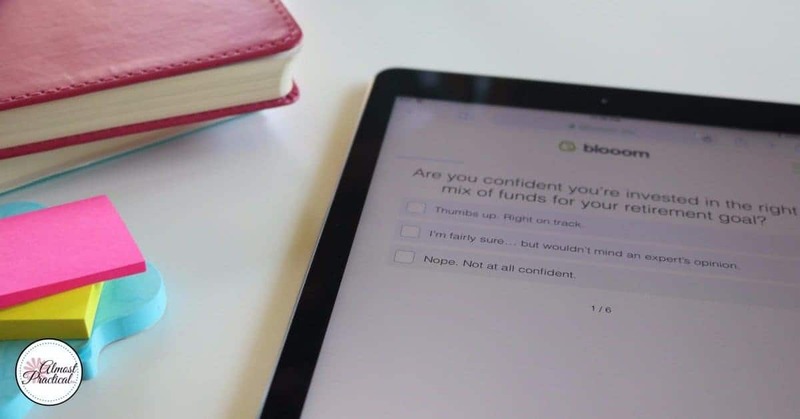 Blooom is a tool that can help you manage your 401k. Gone are the days when people work for a single employer from college graduation all the way through retirement. When you move from one job to another it is easy to let your 401k languish. After all, moving it involves paperwork. And who has time for that? Well, if you want to have that nest egg at retirement, don't ignore your 401k when you leave your employer. Let's start with this – cashing it out is probably not the best choice. You will end up paying big taxes and you'll likely spend the money instead of using it for retirement. So, you can leave it where it is – but you still need to make sure that you are actively involved in managing your portfolio. Or you can roll it into an IRA (make sure you do this following the proper channels so you don't end up paying penalties and taxes). Again, you will always need to actively manage your portfolio. The time to start saving for retirement was yesterday, but it is never too late to start. I love spending time with this cutie too. don't ignore your 401k investments at prior employers. « The Food Allergy Freedom Super Bundle from Ultimate Bundles is Here! Hi - I'm Neena. Find awesome ideas for leading a more organized and efficient life.